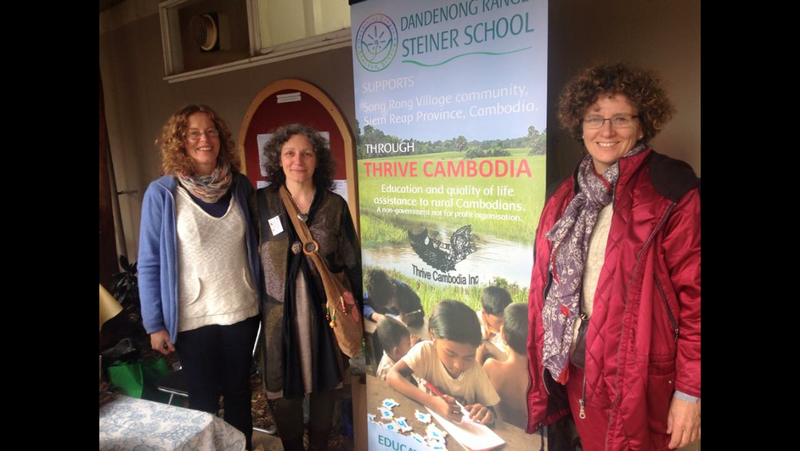 We just have to say thanks to Hellen and Belinda for respectively initiating and maintaining the Thrive Cambodia Sales table in the foyer of the school. 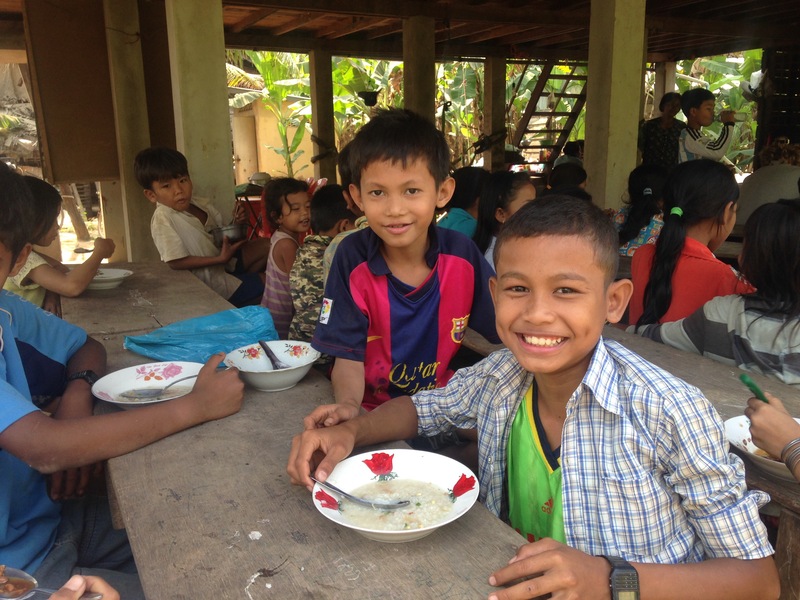 Over the years sales have raised thousands of dollars for our Free School and Lunch program in Som Rong Village in rural Cambodia. Thanks especially to our generous supporters who donate the items for sale. Family members care for the patients. Bamboo splints & herbal oils are applied. On our recent trip to the village, Anne and I visited Sim’s brother Bok, who is the local traditional medicine man. He is very experienced in treating broken bones and burns. He never turns anyone away and is paid by donation only. Bok recently received help to rebuild the natural medicine hospital. The initial $12,000AUD built the walls and floor BUT NOT THE ROOF!!. Stage One: $5000au will raise the roof and put patients under cover! The first $5000 will be transferred immediately to build the roof. Srei Mao (on the right) is 19 years old and is one of Sim’s nieces. Srei Mao is studying finance/economics at the University of South East Asia, Siem Reap and is top of her class. She lives in a bedsitter in Siem Reap with Kimly. Sponsorship of University fees and living expenses provides the means for Srei Mao to live away from home to study. Last year she graduated from the hospitality school, Sala Bai and began work in a hotel. She did so well in her job that they awarded her with a bicycle—now she can zoom from work to university and back. Srei Mao is fluent in English. Thanks to an incredibly generous English family, we have been able to send our first 3 high school graduates to University. Srei Mao, Kimley and Lom Orng consider themselves very lucky and are taking full advantage by studying very hard and achieving top scores in their respective courses. Both Srei Mao and Kimley are studying Business and Finance in Siem Reap and Lom Orng is attending a teacher training university in Phnom Penh. We will keep you updated. Sim’s Free English Language School is a free after-school program that was conceived of and is managed by Shin Eorn (Sim). $4000 per year provides FREE english language tuition for up to 50 children in the community including a daily meal. Tuition is provided by local State-qualified teachers. The healthy meals are prepared by Sim’s family and supplement the children’s diet.